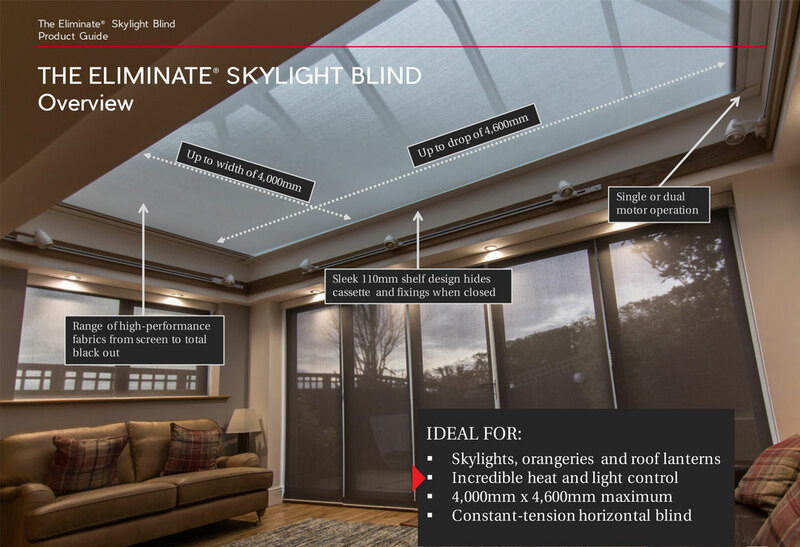 "The Eliminate® Roof Skylight Blind"
The Eliminate® Skylight Blind comes in a range of high-performance fabric from screen to total blackout, with a maximum size of 6000mm width and 8000mm drop. It offers incredible heat and light control and the fabric is constantly tensioned so there is no sagging. If you would like to save money you may be interested in the LanternLITE™. The First DIY Roof Lantern Blind Of Its Kind! Visually identical to the Eliminate®, the LanternLITE™ is an easy to fit DIY roof lantern blind. 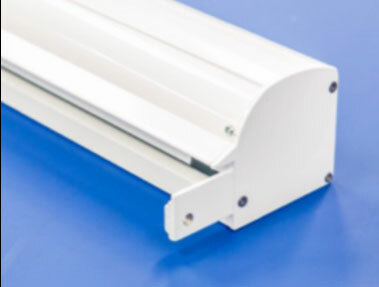 Available as an electric roof blind (compatible with Alexa & Google Home) or crank operated manual operation. The LanternLITE™ is made right here in the UK and it available in 7 working days. Click here for more details. Innovative technology with beautiful design, made in the UK. The Eliminate® Skylight blind is truly a revolution in home design. 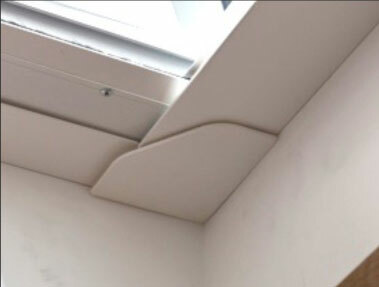 Time-tested roller and 'fabric teeth' technology have been combined with unique engineering, creating a solution that delivers flawless finishes for any roof aperture. The Eliminate® system can incorporate an unrivalled range of high-performance fabrics, suited to your individual needs. Each Eliminate® is made-to-measure, completely bespoke and handcrafted in the UK. No wrinkles, no pleats, no gaps. A perfect finish, every time. 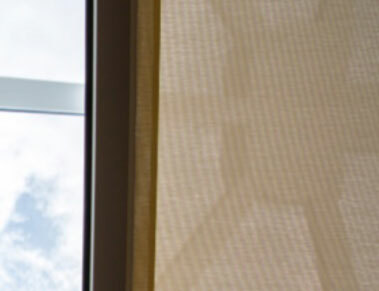 The unique Eliminate® Skylight Blind Fabric Tension System ensures constant tension throughout the drop. This results in a taut, level surface all the time, with no sagging or bowing. 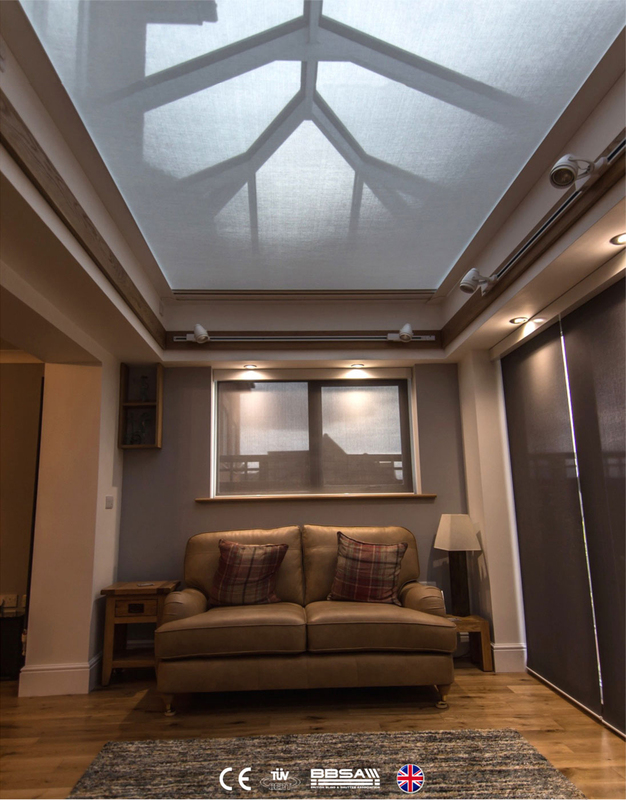 The Eliminate® Skylight Blind is supplied in two cassette sizes depending on your requirements - the 95 mm2 or the 120mm2. Both cassettes are made from precision-machined aluminium and tested for long-lasting usage. 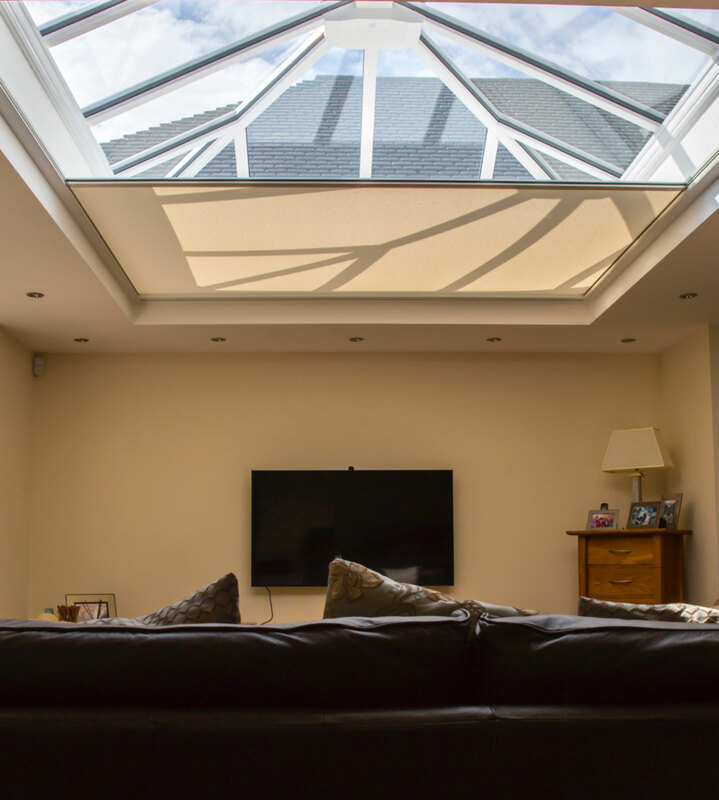 Our Eliminate® Skylight Blinds are installed using the unique 110mm X 75mm overlapping shelf, producing a sleek and angled finish in any aperture. When the blind is closed, this fully covers the cassette, guides and fixings for a flawless finish.